By using a selector switch and adjusting and exchanging the sensors, you get to explore twelve different functions and astounding behaviors. 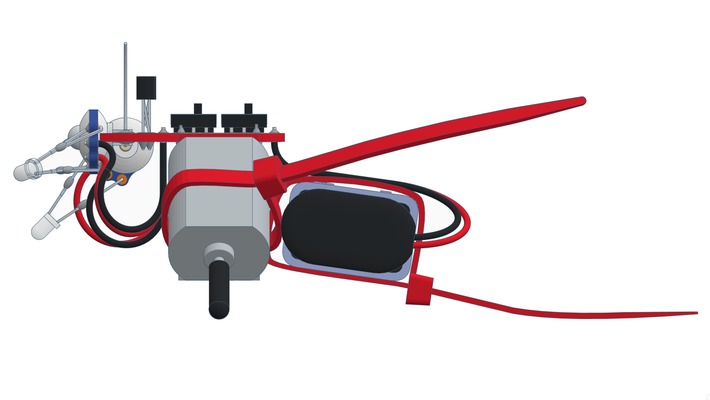 The three rotatable brightness sensors cause him to respond to lines, objects, light, and shadows. 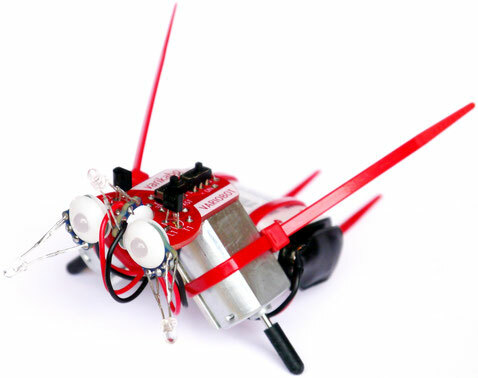 By adjusting the sensors downward, upward, and forward, you decide whether varikabo will respond to these when they're on the ground, in front of him, or over him. With the switch, you choose the acceleration or brake mode. varikabos eye-LEDs show you how he feels: If he’s in a hurry or on the run, they shine red. If he feels comfortable and stands still - for example, under your hand, then they shine blue. varikabo offer long-lasting fun and variation! 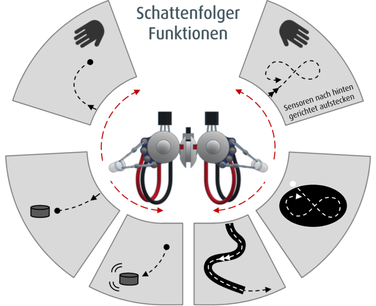 The experiment manual explains the configuration of the various functions, showing how these can be set using the selector switch and the three exchangeable sensors. Here you see two examples of four diagrams that show you how to set the function of your choice. 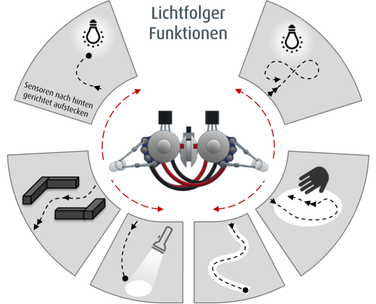 In the manual you're shown how the control circuits are set up and how the various components function. You can learn to understand and comprehend varikabo's multi-functional behaviors and what causes them. 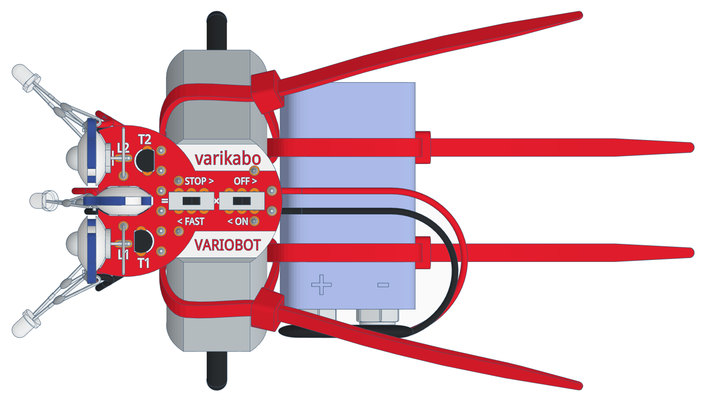 varikabo is available as single kits or as a affordable set of 10 kits. In addition, we offer discounts for public institutions. Feel free to contact us with requests.